awesome encounter with good nutrition has inspired group of Indigenous ladies all suffering from health issues themselves. Now they have a solution. nurturing wellness back to their community to work towards creating a local retreat and health coaching solution for the many sick people in their community. Dianne Biritjalawuy (right) with Kama Trudgen, the pair that started it all. 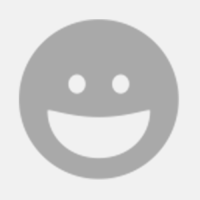 How did this hope for health start? 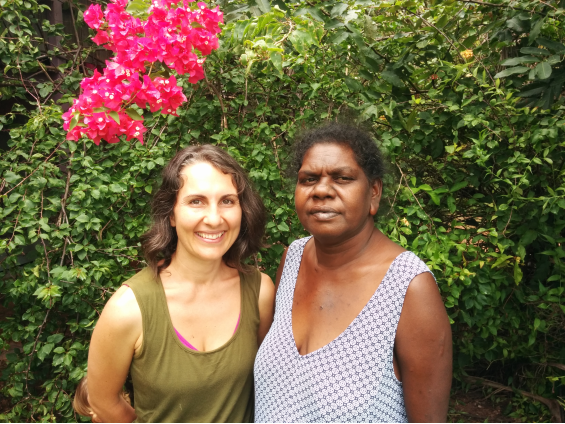 Let me introduce Dianne Biritjalawuy - Yolngu community leader & world-changer!! for her, so that she could experience healing through wholesome food. turnaround in their own health. *** The chance to"experience” what wellness feels like as a result of good nutrition. *** Access to information about nutrition, communicated in a language and framework that makes sense for them. *** Existing skills to make healthy food choices, including understanding food labels, or how to cook modern foods. *** Access to a variety of nutritious whole foods. it's incredibly difficult to take on new information about nutrition and lifestyle. It's also challenging to adopt significant changes if you haven't yet had an experience of their value. 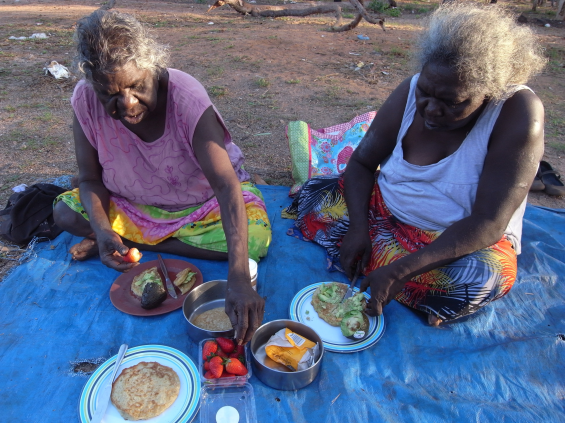 Arnhem Land where a health retreat can be run for the whole community, incorporating Yolngu traditional knowledge with the best that modern nutrition has to offer. Please help these women get to Living Valley Springs Health Retreat and bring Hope to this community to overcome its current health crisis. to future participants. These brave ladies are pioneers for their community, making the path easier for others to follow. Thats us. 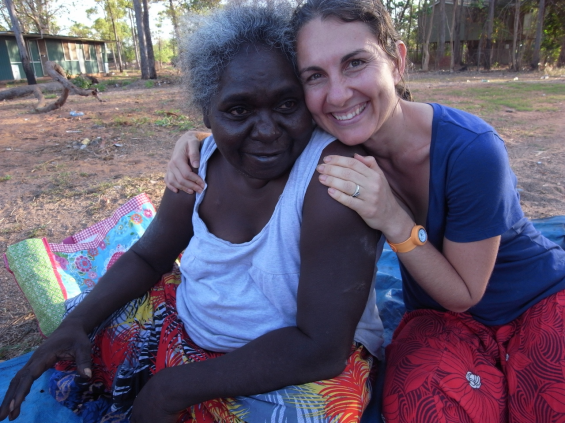 We moved to Elcho Island 5 years ago to start the Arnhem Human Enterprise Development (AHED) Project. covered). In particular we'll be facilitating daily education sessions with the participants and Living Valley Springs expert staff, to ensure all information is translated into language and communicated in culturally relevant frameworks. Follow us on facebook or Twitter - search for "whywarriors"
Our Generation media are passionate advocates for Indigenous issues, supporting this venture to empower true health in Arnhem Land. ALPA owns small super markets across Arnhem land and support many other Indignenous communities to run their own local stores. The local clinic in Galiwin'ku provides essential medical treatment and emergency medicine services. The local Doctor is keen to support the medical management of our core group and participants in future local programs. See Miwatj Health at Galiwin'ku. We're going to need $70 000 to take 9 Yolngu women on this trip. We've secured $20 000 from the local grocery store, ALPA, but we need your help for the remaining $50 000. *** A pair of joggers for each participant, to enable easy participation in exercise. *** A health coaching program facilitated by Dianne Biritjalawuy and Kama Trudgen, to provide individual support to participants to integrate their new knowledge and skills into every day life. *** Facilitation of a working group for the creation of the local retreat on Elcho Island. *** Food for sampling, cooking classes and demonstrations. *** Resource production such as a recipe book with locally popular healthy recipes that have ingredients available in the community. Thankyou Card - A card to honour the contribution you have made to Hope for Health! Christmas E Card & Thankyou Card - Why not give the gift of Hope and Health this Christmas. We will email an e-card to you in time for Christmas, to represent the gift. A gift that empowers Indigenous women to achieve health. Enlarged Photo of Participants, Christmas E Card & Thankyou Card - An enlarged photograph of the Yolngu participants in this project, so you can see the beautiful faces of those you have generously supported. Signed Book, Enlarged Photo, Christmas E Card & Thankyou Card - A signed copy of the acclaimed book Why Warriors Lie Down and Die by Richard Trudgen, which gives profound insights into the reasons for the health crises in Arnhem Land. Book, Enlarged Photo, Christmas E Card & Thankyou Card - A copy of the acclaimed book Why Warriors Lie Down and Die by Richard Trudgen, which gives profound insights into the reasons for the health crises in Arnhem Land. Traditional Yolngu Basket, Signed Book, Enlarged Photo, Christmas E Card & Thankyou Card - A small traditional basket woven by a Yolngu artist using local materials & an enlarged photograph of the Yolngu participants in this project. 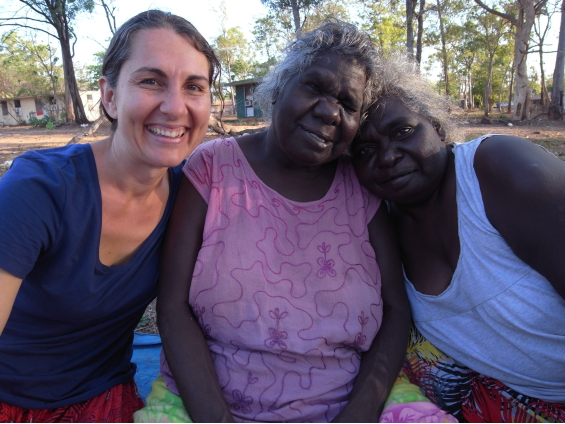 Come and visit Elcho Island, visit the ladies and experience life in their remote community. You will be hosted for a one week stay in Elcho Island. Travel expenses and food not included.